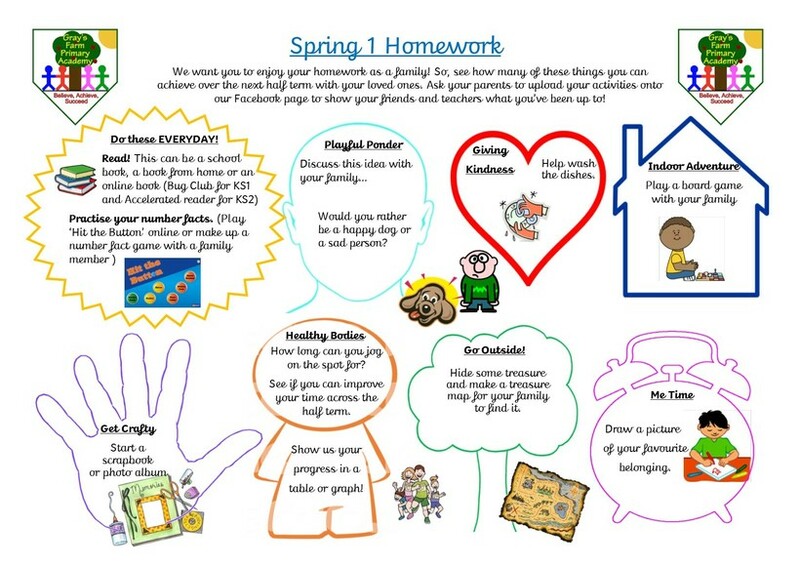 We want you to enjoy your homework as a family! So, see how many of these things you can achieve over the next half term with your loved ones. Ask your parents to upload your activities onto our Facebook page to show your friends and teachers what you’ve been up to! Click on the image below for full details!